The project will start with an in-depth inventory of the geographical sources supplying timber to the main Iberian Atlantic shipkyards from the 16th to 18th centuries through literature and archival research and palaeo-environmental indicators (such as pollen studies) of contemporary extent and distribution of coastally accessible forests. Recruited researchers will study the process of timber acquisition, selection, trade and transport, as well as the management practices and specific laws enacted to sustain and protect the forest resources. 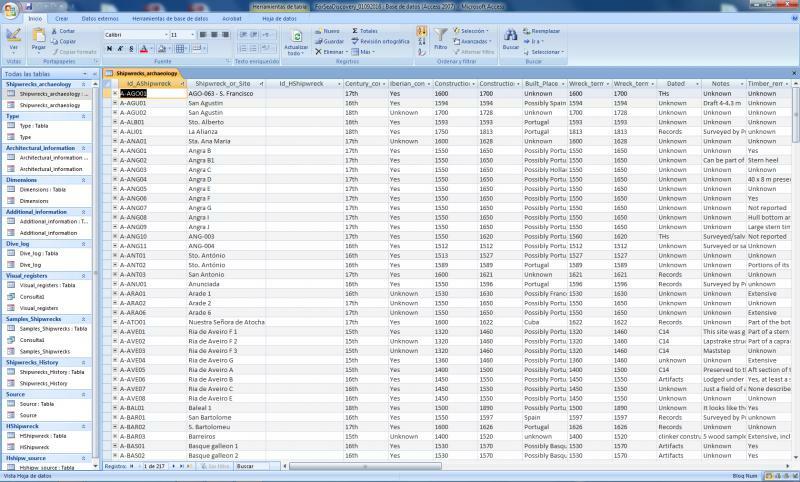 The ForSEAdiscovery database compiles information from written sources and other databases (e.g. Associated Participant Nr, Filipe Castro, Miguel San Claudio). It collects data on wrecks documented from archival and bibliographical sources; known or suspected Iberian shipwrecks where substantial timber hull remains survive and could be subjected to survey; key construction features diagnostic of different shipbuilding traditions; dendrochronological sampling from shipwrecks, living trees and historical buildings; and dendro and geochemical information obtained from analysis. 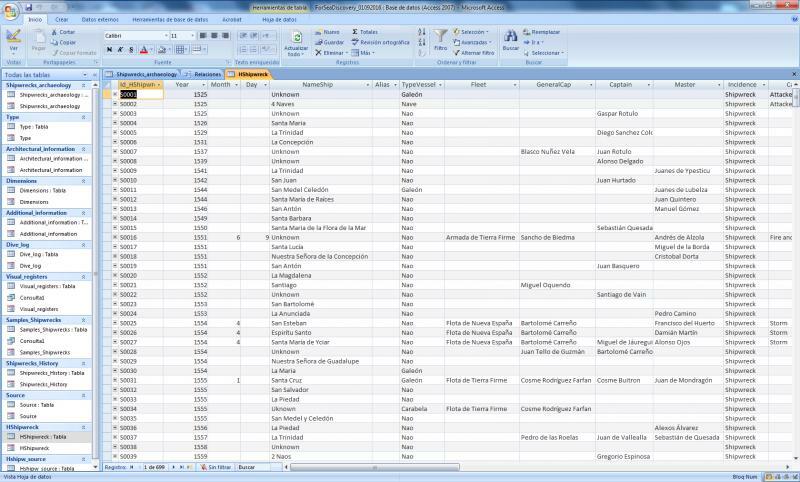 The database serves to search information and find patterns in early modern Iberian shipbuilding. Download Guide. The Climatological database for the world's oceans (CLIWOC) was a research project to convert ships' logbooks into a computerised database. It was funded by the European Union, and the bulk of the work was done between 2001 and 2003. The database draws on British, Dutch, French and Spanish ships' logbook records for the immediate pre-instrumental period, 1750 to 1850.